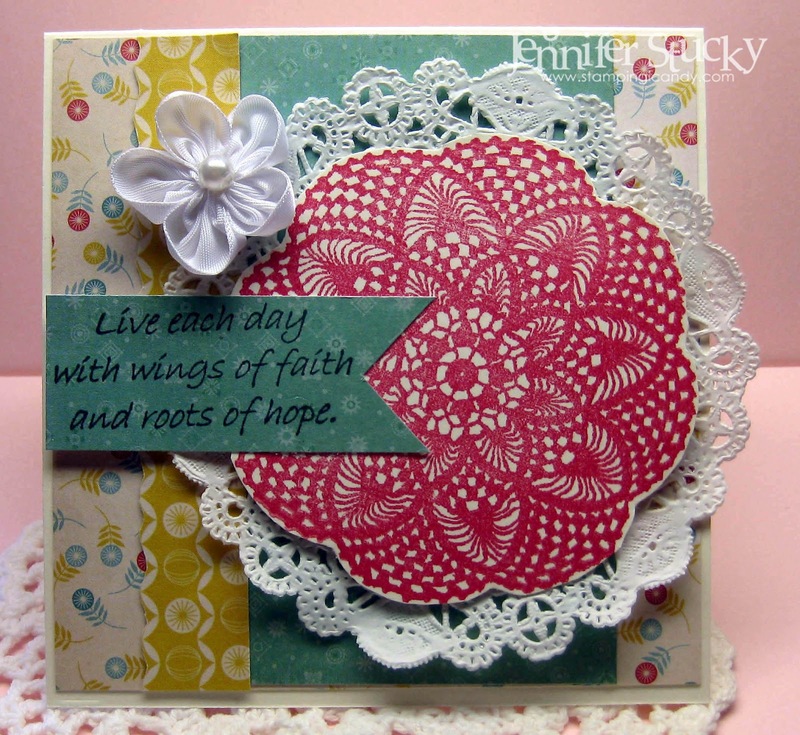 Can you believe that doily is a stamp? It is so lovely, intricately designed and stamps like a breeze. I can see inking it up in a lighter color and using it as a background stamp too. My sentiment is a mantra I need to remind myself to remember and live by. I will be holding my family even closer and treating each day as a blessing. Sometimes it's the bad things in life that bring out the best in us. 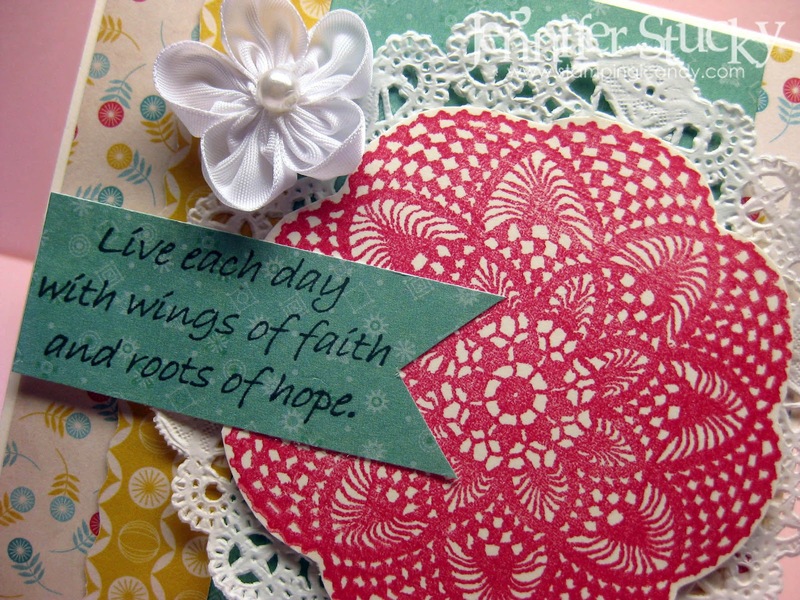 For more of the deets on my card please visit me at my blog here. Beautiful card! Pretty colors and layout! What a special and meaningful card! Each day should be treated as a gift. The doily gives it a very sweet touch. What a lovely choice of papers & colors, Jenny! And that doily stamp is a great focal point. 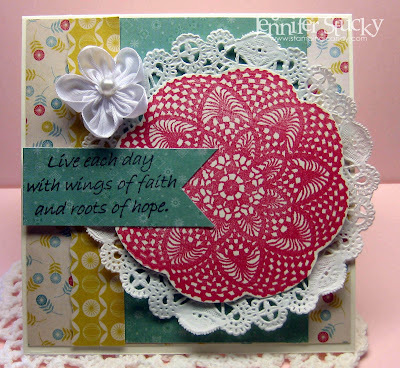 LOVE the doily stamp!! Wow! Love the colors you used on this card, so pretty! !